BlackBerry Ltd is warming up to the possibility of going private, as the smartphone maker battles to revive its fortunes, several sources familiar with the situation said. Chief Executive Thorsten Heins and the company’s board is increasingly coming around to the idea that taking BlackBerry private would give them breathing room to fix its problems out of the public eye, the sources said. “There is a change of tone on the board,” one of the sources said on Thursday. The company’s shares have fallen more than 19 percent this year. Its market value has fallen to $4.8 billion, from $84 billion at its peak in 2008. 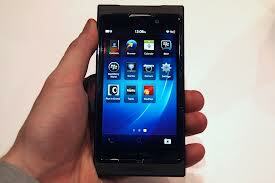 BlackBerry’s openness to consider a deal marks a radical shift in thinking at the once high-flying smartphone maker. Until recently, BlackBerry, formerly known as Research in Motion and a pioneer in providing secured emails on handheld devices, had been bent on staying independent, betting its turnaround on its latest smartphones. Pressure is only increasing on the smartphone maker. BlackBerry 10 sales have come in well below some analysts’ expectations, raising questions about whether the company can quickly win back market share from Apple Inc’s iPhone as well as Samsung Electronics Co Ltd’s Galaxy devices and other phones powered by Google Inc’s Android operating system.